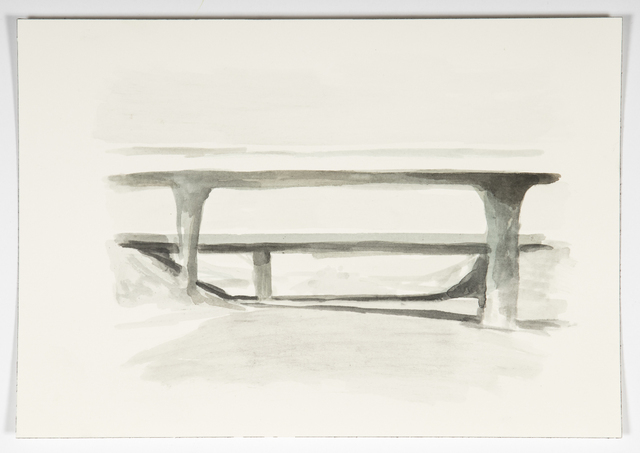 Planthouse is pleased to exhibit drawings and paintings by Robert Olsen (1969–2014) in anticipation of his October show of notebook paintings at Planthouse. 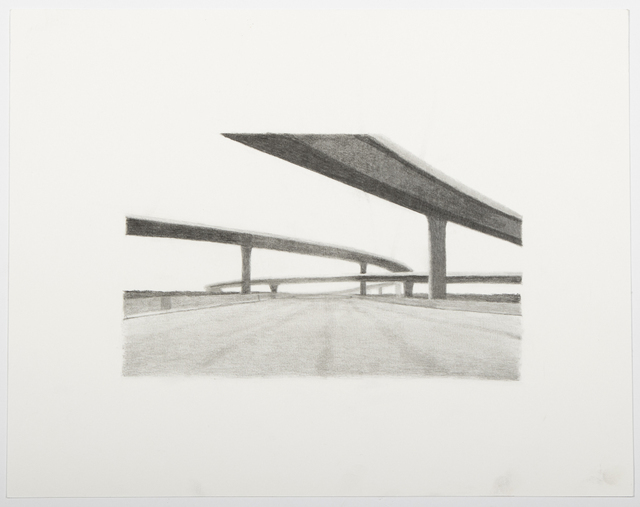 In 2016, Planthouse published a silkscreen edition Untitled (Overpass), for which he completed drawings just before his untimely death, the works on display afford an expanded understanding of Olsen’s interest in California freeways and quotidian monuments of the American road. Olsen also directed his gaze to other sites encountered during travel. 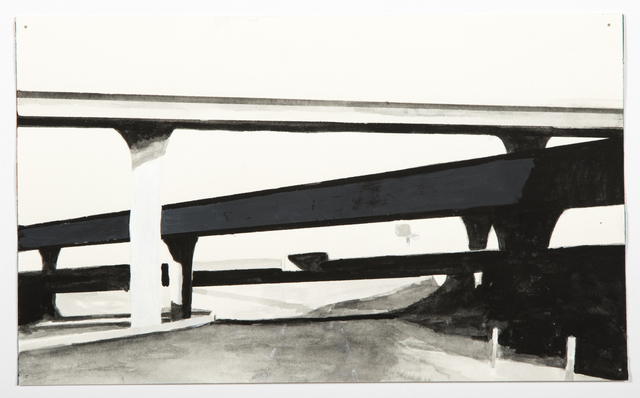 The works on paper are shown alongside a large painting depicting a brightly lit bus shelter at night, its blank advertising wall a glowing beacon, and the reflective glass walls reminiscent of modernist design. It is isolated in darkness, beautiful in its lonely optimism. Additional paintings focus on elements of gas stations will round out the presentation. Olsen attempted to slow down the repeated, almost thoughtless, action of pumping gas. ROBERT OLSEN (1969–2014) received his BFA from California College of Arts and Crafts in 1998 and his MFA from the University of California, Los Angeles in 2002. 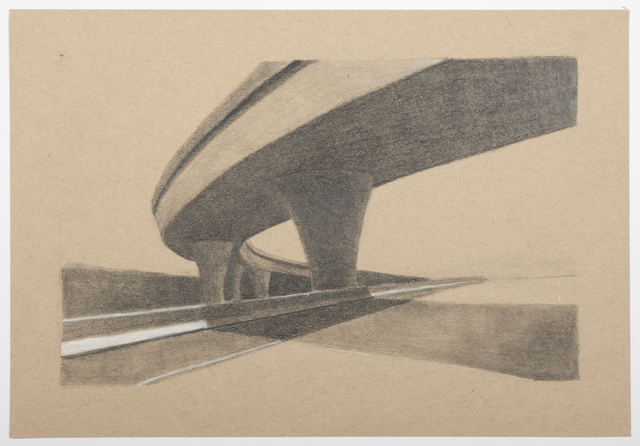 While in college he started showing paintings through the Susanne Vielmetter Los Angeles Proj- ects gallery. He would later have solo shows at: Black Dragon Society, LA; Plane Space, NY; G Fine Art, Washington DC; and Monte Clark Gallery, Vancouver and Toronto, Canada. 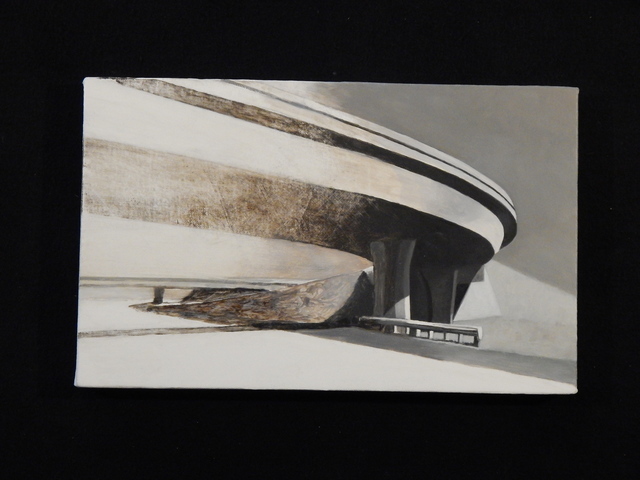 He was in group shows at: H2O LA; University of North Texas, Denton; Luckman Fine Art Complex, Cal State LA; Marcello Marvelli Gallery NY; ArtForum Berlin, Germany; Hayworth Gallery LA; Skidmore College, Saratoga Springs NY; Monterrey Mexico; Reed College, Port- land OR; Silas Marder Gallery, Bridgehampton, NY; Hartford Community College, Bel Air, MD; CCA at 100, Braunstein/ Quay Gallery, San Francisco, CA; Nathan Larramendy; Ojai, CA; Ars Libri, Boston MA; The Green Gallery East, Milwaukee, WI; ACP LA; Silverlake, LA, CA; Torrance Art Museum, Torrance CA; Wonderloch Kellerland, Berlin Germany; Anne Marten’s Home, LA; and Begovich Gallery—CSU Fullerton, CA. 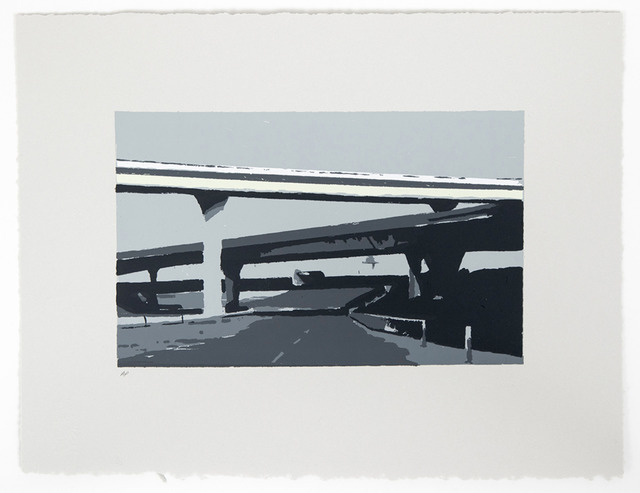 His last solo show was L.A. Freeways at Planthouse, NY, and his last group show was “I, II, III”, at South of Sunset, LA.